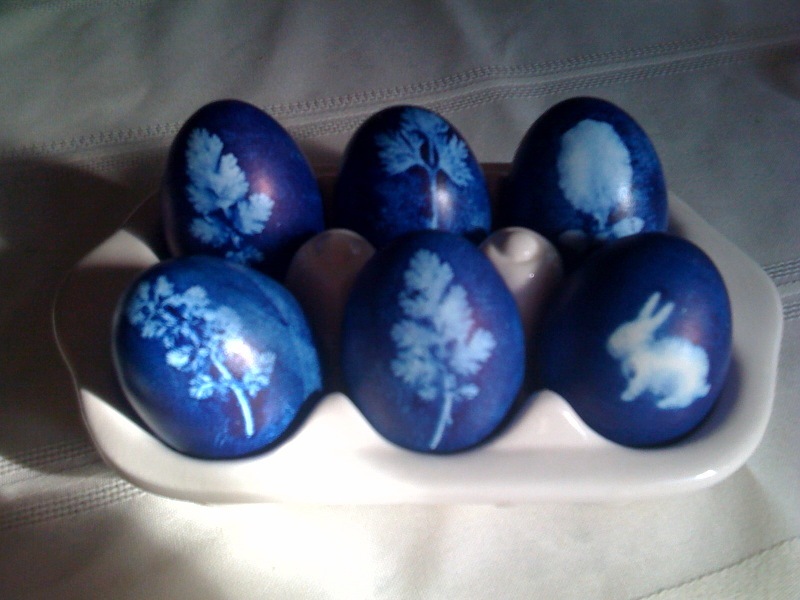 For this year's Easter eggs I tried this method using some blue dye I ordered online, small plants and stockings. GAH! Those are so great! OMG, I love them!! Please share how you made them. I've wanted to try this for a while now. The rabbit one is amazing! I did these this year as well, with the onion skins. We glued some teensy tiny jewels on to them after they were dry for some extra bling- they came out awesome. Those are beautiful! I love the color.